Help – my USB drive doesn’t work! No matter how careful you are with your flash-based storage device, accidents can happen, and these units can fail just like any other storage medium. When that happens, you need to turn to someone you can trust to recover your data quickly, reliably, and for an affordable price. That’s where Belgium Data Recovery comes in. 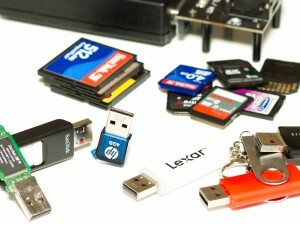 At Belgium Data Recovery, we invest constantly in research and development to ensure that we have the very latest tools and techniques available for USB Drive Data Recovery. In addition we have more than 10 years’ experience of restoring data loss from all types of media, whether a USB key, a CF card or a RAID array. As we expect more and more from our mobile devices, so we expect more and more from our portable storage. Flash-based storage is cheap and efficient, and we all use it for saving photographs on digital cameras, transferring files between devices and so on. But just because these devices have no moving parts, it doesn’t mean they don’t go wrong. Failure or mechanical damage can happen in an instant, and then your precious photographs or essential documents have gone too. Whether you’ve deleted files by mistake or your storage device has been affected by a computer virus, software corruption, or simply physical damage, Belgium Data recovery can help. One of our data recovery experts provides you with an initial diagnosis of the problem with your USB Drive. When your device arrives at our state-of-the-art data recovery laboratory, we examine it thoroughly to determine the precise nature of the problem. Then we provide you with a quotation for the work, time and costs involved in restoring your data. Once you have approved the work to be done, our data recovery team will recover your data. We never start working on recovering your data without your consent, and we are always happy to answer any questions you may have. We pride ourselves on always offering a fast, cost-effective, and friendly service.